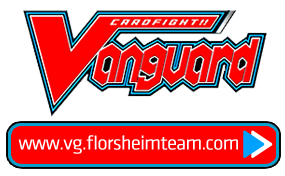 So as some of you know, I got top 4 with Phantom Knights / Speedroid / Lightsworn deck in Jakarta regional last week with a sweep in the swiss round. So yeah, this deck definitely has potential. Ok, let's go to the explanation of the cards. First, the Phantom Knights monsters. It may seem no-brainer to include 3-3-3 of them, but apparently I often felt 9 is too much. But yeah, you almost always want to mill them to the Graveyard so you can get advantage from them. The second, is the Phantom Knights' traps. The Swords and Wings pretty much works the same, so I would not want 6 copies of them. I divide them 2-2 to manage their once per turn clause. You will almost always want 1 Wings and 1 Swords in grave rather that 2 of them without the other. Next, we will go to the Speedroids. This is the Tour Guide of Phantom Knights without using any normal summon (and apparently it has started to be adopted in Burning Abyss too). Recent builds ditch the Tri-Eyed Dice because it would be need to be normal summoned. 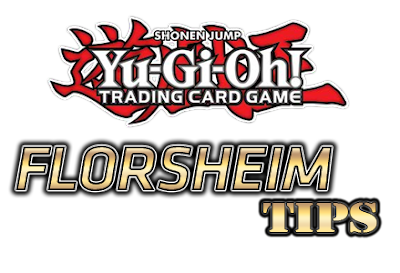 But in my build, Tri-Eyed will have a significant role, which is to summon the best monster and the best problem solver in the deck, Trishula. Until now, the build would almost the same for all Phantom Knights deck. But I added one more engine to the mix, which is Lightsworns. The main function of Lightsworn is the searchable Monarch's True Domain destroyer, Lyla. I can search it from the deck with Charge of the Light Brigade with bonus 3 mills, or summon it from Graveyard with Lumina. Hence the triplets of Luminas are also included. So why the Minervas? Yes, it is the searchable access to the best monster and best problem solver in the deck, Trishula. The bonus mill also great at times, such as when I discard it for Twin Twister or Lumina's effect. That is all for the monsters, now we will be moving to the spells and traps. Three twin twisters is godly in this deck. I can control any deck with it also advancing my game state by discarding any Phantom Knights monsters or traps or Lightsworn to be retrieved by Lumina next time. Other spells I use is Raigeki and Dark Hole. Well, since decks right now can easily swarms you and overwhelm you with lockdowns if you cannot clear the board next turn. And both Raigeki and Dark Hole can solve it easily. It also can open the Monarch True Domain lock, which is significant. Last spell I use is Foolish Burial, to dump Phantom Knights monster or to dump a Minerva to instantly activate Lumina's effect. What you would see absent here is Reinforcement of the Army. It can become a fourth Silent Boots at times, but I prefer to mill any of my Phantom Knights rather that Reinforcement. Now we will see the generic traps. I use triple solemn. Two strikes and one warning. It is very good versus Pendulums. Strike can be dead vs monarch if they have March or Return active. So I would not want it too much. I'd rather use Bottomless Trap Hole, since it solves pretty much the same thing, except Kirin. Well there is also budget things, so I did not use three strikes. And the last trap I use is Vanity's Emptiness. Simply because its awesome combo to soft lock with Master Key Beetle. Ok, that's the main deck. Let's move to Extra deck. Three Break Swords is a no-brainer. Two Dantes for opening plays and two Leviair to add up damage while preserving my plusses. You know, those two Dantes can loop themselves back to the extra deck to be used later. So I would only need two for unlimited summoning of Dante. For other rank 3s, I was using Grampulse to clear backrows. And also Nightmare Shark to ensure win from my opponent's last 2000 life points. As for the rank 4s, I use Dark Rebellion for my main powerhouse. Then I include Master Key Beetle to protect my Emptiness and other floodgates such as Mask of Restrict and Anti-Spell Fragrance. I also use Evilswarm Nightmare to hold my opponent from swarming me the very next turn. And I got Downerd Magician to power up my useless Grampulse or depleted Leviair/Dante or trap-summoned Break Sword. My last Xyz is Number F0: Utopic Future. He's so great vs Kozmo. Just ensure he's going to survive by clearing opponent's backrow first with Grampulse. And the last and the best Extra Deck monster, Trishula, Dragon of the Ice Barrier. He's my only Synchro Monster and he won me a lot of games. I literally never lose a game when he's summoned and resolved successfully. Well, it's a Duel Terminal rarity, what can go wrong lol. Now we are going to the last part, the Side Deck. Here we go! Three Mask of Restrict seems like a staple right now, to obliterate those pesky Monarch out there. The next is two Anti-Spell Fragrance. I've enticed to maindeck it, but after a long thought of my place's meta, I believe it better be reserved in the side deck. The next is System Down, for Kozmo. I might include Cyber Dragon Core since I mill a lot, but I don't like its restriction to have no monster on the field. And System Down also solves Spaceships in Graveyard so they cannot be retrieved by Call of the Haunted. I don't fear Kozmotown retrieval by the way since it's much slower. The hyped side deck is also here, Magic Deflector. It saved me from a surprise attack with Emergency Teleport and it negated a Twin Twister. So yes, I like this card. Two Droll & Lock Bird is for Monarch FTK. I would side Hanewata instead of Bird, but I considered that Monarch FTK would side into a normal Monarch, so Hanewata would become useless when Droll & Lock would still be useful. The last four is Maxx "C" and Vanity Fiend. Maxx "C" is strictly for deck that can swarm me in the first turn like Dracopals, Mermails and Super Quantums. But when I go first, Vanity Fiend is much better. It can lock my opponent and it combos well with Phantom Knights Wings and Sword! Imagine Raigeki-ing my Vanity Fiend only to found it stays on the field with extra 500 ATK boost. If I have to change anything, what would it be? The first is the ratio of the Phantom Knights. While 9 seems optimal, I feel like 8 is better. I would ditch one of the Ragged Gloves since it is the worst. The second one, I might add some Kaiju to my side deck due to Super Quantums. So I would have a better out, rather than depending on attack boost on Break Sword or Dark Rebellion with Sword or Wings.